Earlier this month, the National Highway Traffic Safety Administration (NHTSA) released traffic crash data for the 2011 calendar year. While their press release touts that highway deaths are at their lowest in six decades after a decline in traffic fatalities of nearly two percent, a closer look at the numbers shows that the news isn’t all good across the board. In fact, the data shows that there was a higher percentage of deaths among occupants of large trucks than in prior years. Our Atlanta truck accident attorneys want truck drivers and others on the roads to be aware of the increased number of fatalities involving large trucks. We also want to take a look at one of the possible causes of the increase in deaths. 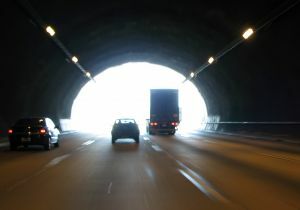 Fatalities among occupants of large trucks increased 20 percent in 2011. Fatalities declined by 4.6 percent involving occupants of passenger vehicles and light trucks. Light trucks can include SUVs as well as pick-up trucks and mini vans. A 20 percent increase in the number of fatalities involving large truck occupants is startling, especially when there was a decline in fatalities among those in regular cars and light trucks. NHTSA has indicated that they are looking into why there were so many more large truck deaths in 2011. In their press releasing announcing the statistics, they reported that they would be working with the Federal Motor Carrier Safety Administration (FMCSA) to try to determine the reason for the increase. While there may be a multitude of factors that could explain why truck accidents increased so much in 2011, there is one factor that stands out as being a very important potential explanation. That factor is the increasing shortage of qualified truck drivers who are able to drive the trucks on the road. While it may come as a surprise in a time of high unemployment, the fact is that the trucking industry simply cannot find enough experienced and qualified drivers to fill the jobs they need to fill. In fact, a July 2012 New York Times article reported that there was an excess of 300,000 open and unfilled positions for truck drivers. The jobs weren’t being filled because, according to one trucking company district manager, there weren’t enough people who had the requisite experience and qualifications. Driving a truck, of course, is complex. Drivers must have a commercial license but typically also must have two years of experience with commercial driving to be hired and to be capable of managing a large truck safely. Unfortunately, things are only likely to get worse. According to the Bureau of Labor Statistics, there is expected to be a 21 percent growth in the demand for truck drivers by 2020. Since trucking companies already cannot fill all of their jobs, the need for more truck drivers may lead to even more driver shortages, which in turn can lead to inexperienced drivers on the road and even more trucking accidents. Inexperienced truck drivers put themselves and others at risk.